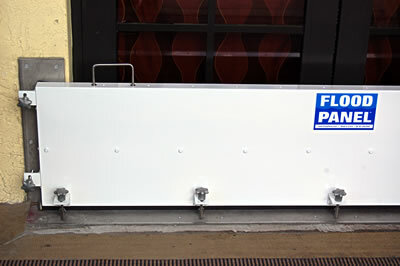 Puddle Panel is designed to be a quick reaction flood barrier system capable of withstanding low flooding. It is designed for occassional and sudden minor flood events (less than twelve inches). 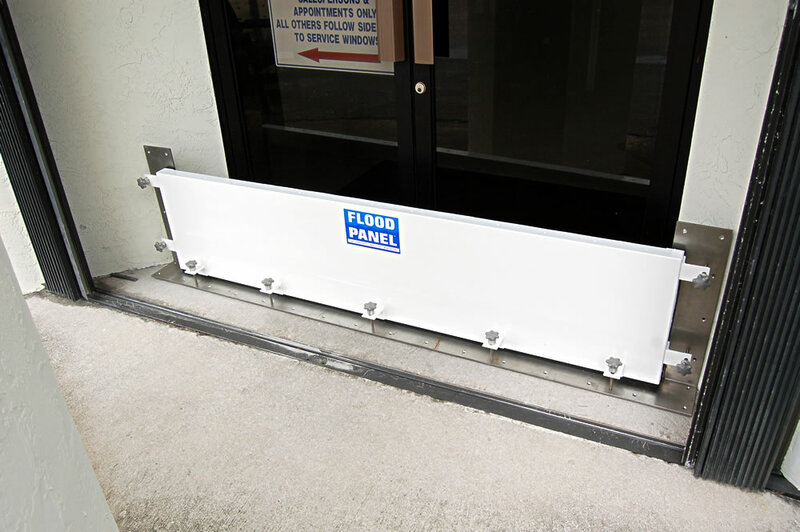 Puddle Panel is extremely effective with its patented design in keeping flood water from entering doorways, and is quick and easy to install. Puddle Panel is a lightweight aluminum panel system that is edged with a thick rubber gasket. It produces an excellent seal when it comes into contact with a stainless steel mounting plate that is permanently installed around the opening to be covered. This will insure a seal regardless of the building surface type or condition. The mounting plate is fitted with small locating pins which automatically align the anchor screws. The anchor screws are fitted with large handles for ease of installation. The mounting plate itself can be painted or powder coated to suit the building’s color, rendering it virtually invisible. Installation time for this type of flood barrier, for either a single or double door, is under 5 minutes. This can be accomplished by anyone, skilled or unskilled. Flood Panel has many years experience with custom applications for irregular openings that require flood protection. We have full design and fabrication capability to custom design systems to accommodate unique conditions. Please contact us for more information on Flood Panel flood barriers and flood protection services. Typical Puddle Panel installation. Please click image to enlarge. 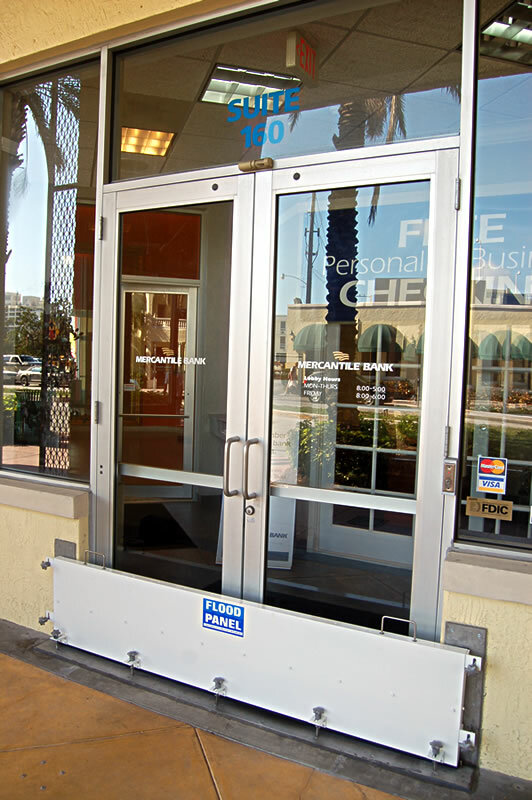 Puddle Panel installation at the Mercantile Bank located in Miami Beach, Florida. Please click image to enlarge. Puddle Panel installation at Cozy's Bar in Miami Beach, Florida. Please click image to enlarge.